Sometimes we forget to ask ourselves is crying a good or bad thing? Especially amongst men, we often associate tears to be a feminine trait, and feel as if crying would make us appear weak. Of course, without a doubt crying is not always good. There are situations where it would be disliked or frowned upon. 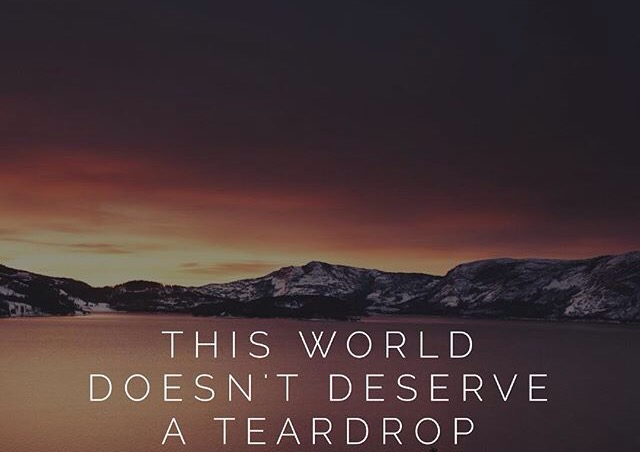 It is not praiseworthy, to cry over a reason associated with this world, the things you want but can’t have, the world with all of its petty treasures and dilemmas is not worth a single tear drop. The Prophet ‎ﷺ‎‬ feared Allah more than anyone else. His heart was the softest, and his eyes were generous in casting tears. His eyelids remained moist, always on the verge of crying. When he would recite the Quran, a sobbing sound could be heard from him. In fact, his tears moved his Companions in ways that speeches and sermons could never have done. His tears were like words being conveyed to his followers, more eloquently than the speech of others. There is certainly a lot to learn about this issue. I love all the poknts you’ve made.